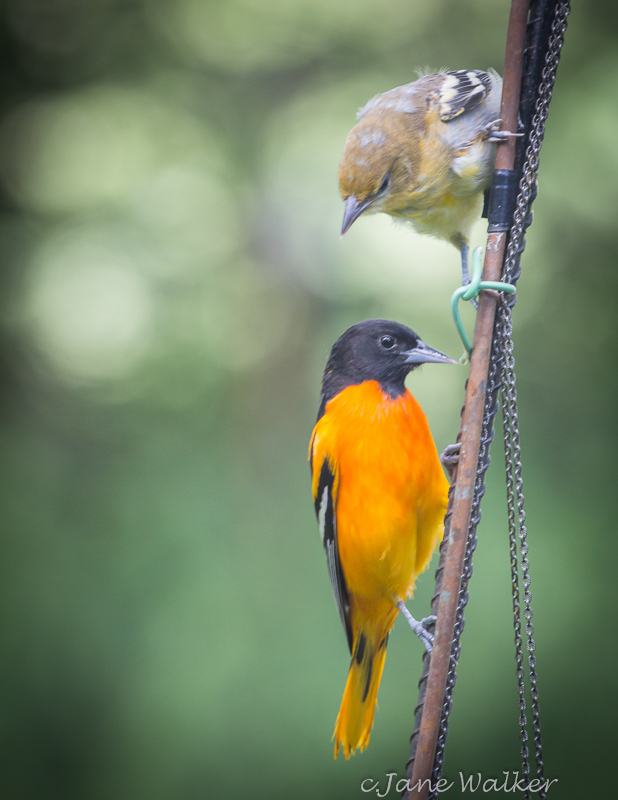 Since creating my protected areas for birds, I was always hopeful that I could attract Baltimore Orioles. 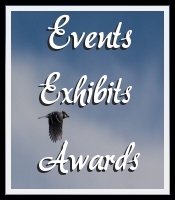 If I was fortunate enough to catch a glimpse of these elusive birds, it was early in May. My attempts to keep them around my bird gardens were quite futile. 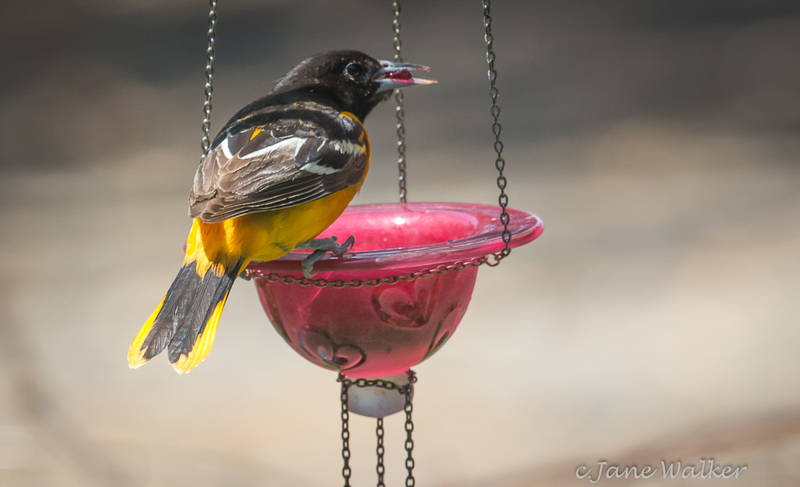 I had always read that the trick was to put oranges out and also to purchase oriole nectar feeders. I did both of these things but found that after a visit or two in the early spring, the oranges would spoil without a sign of even a nibble. I wondered if the problem was the lack of a stream near our house. 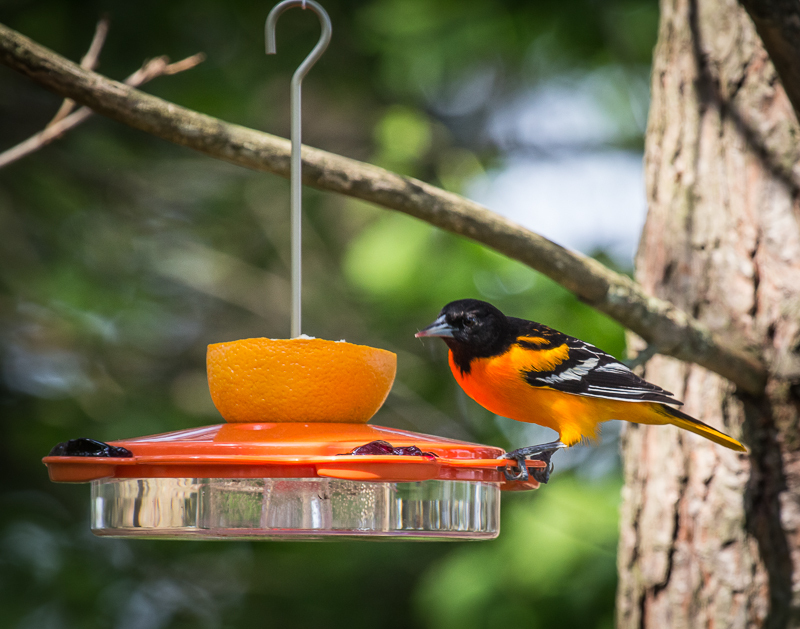 Early this year I read that orioles love grape jelly. 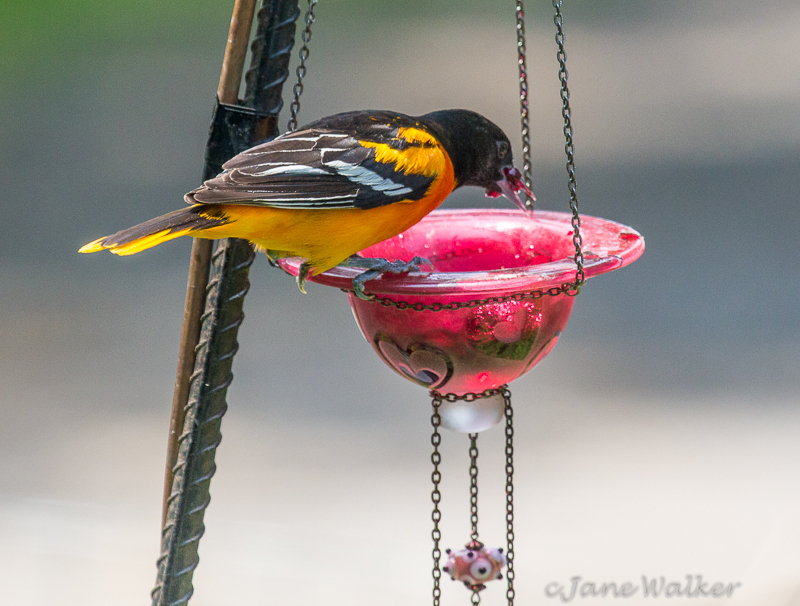 Thinking it was worth a try, I found some different containers, an oriole feeder with a well for nectar, a half orange, and jelly. I was in luck! 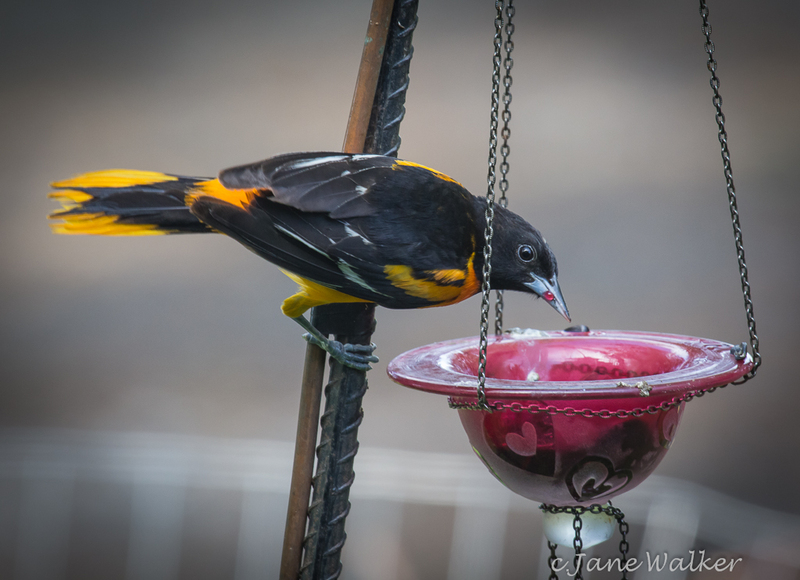 In May, shortly after setting up a few homemade feeders and those that I purchased, I saw a pair of Baltimore Orioles using the different feeders. By far, the favourite food was the jelly. I eventually gave up on the oranges because unless I hollowed them out and filled them with grape jelly, they were ignored. After a short hiatus, the pair were back with their young! 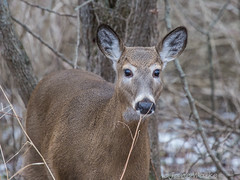 I took photos of them through my front glass door so those that I will share with you may not be the best quality. Also, the various feeders and perches are functional rather than works of art. The one pretty purple one confused one of the little “guys”. You’ll see him trying to eat a glass berry! It is the end of July. 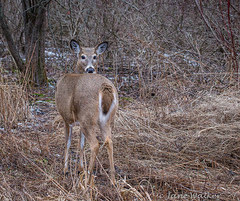 I rarely see the parents but numerous times a day the juveniles come either together or on their own for their treat. 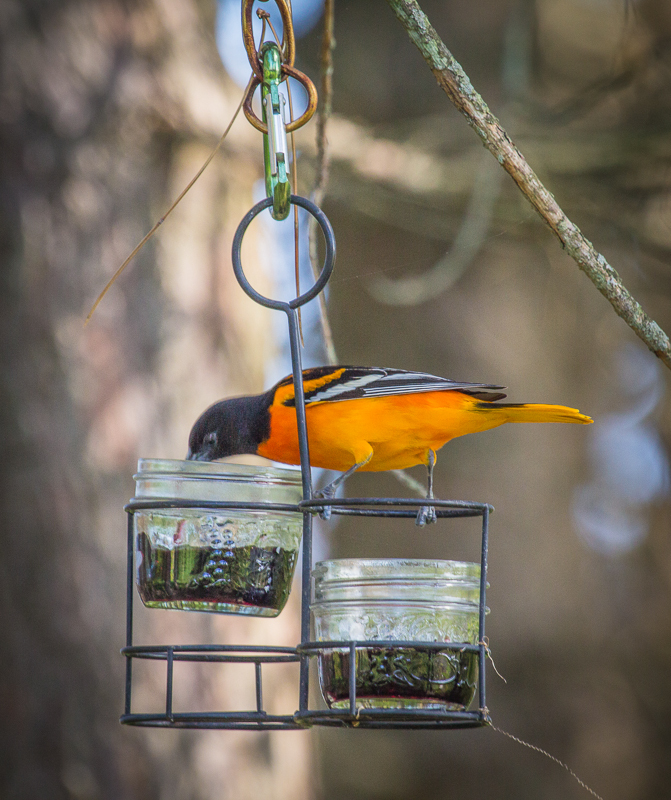 If you want to attract orioles, you just might want to invest in a few jars of grape jelly and find a way to hang them in your garden. 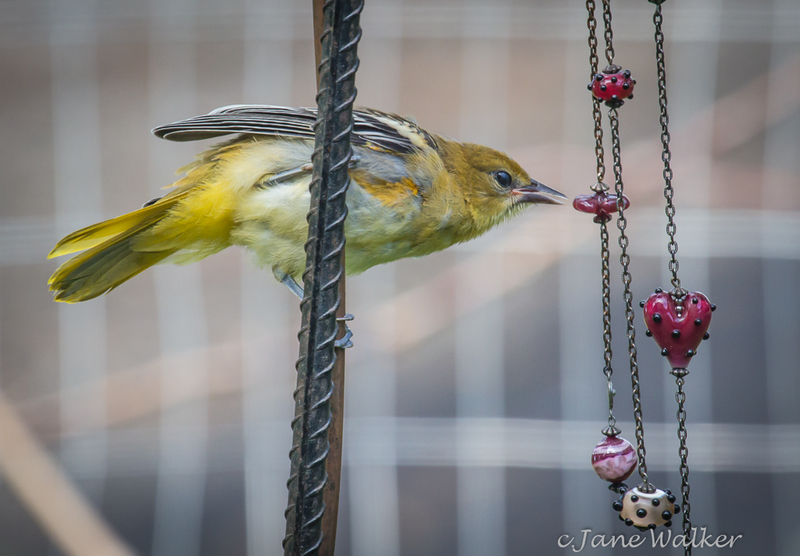 This entry was posted in Gardens, Photographs of Birds, Photography and tagged Baltimore Orioles, bird feeders, bird garden, bird photos, birds of Ontario., grape jelly, juvenile orioles, Ontario, oranges for oriole, Oriole Feeders. Bookmark the permalink. How absolutely wonderful! 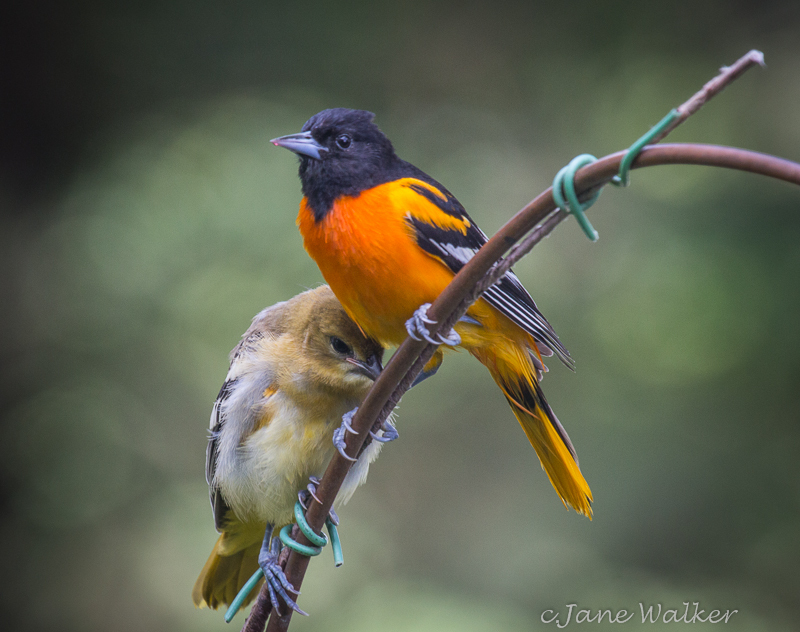 I also love Baltimore Orioles. Their coloring and scarcity in these parts make them so special. Where I grew up in Fenwick Ontario(near Fonthill), we had a mulberry bush at the end of our driveway. They always seemed to show up for the mulberry season. Amazing that they moved in with their family! Grape jelly is my favorite also. Great job! 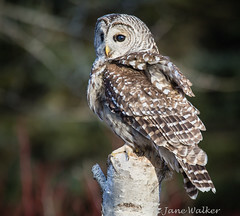 Wonderful pictures Jane. 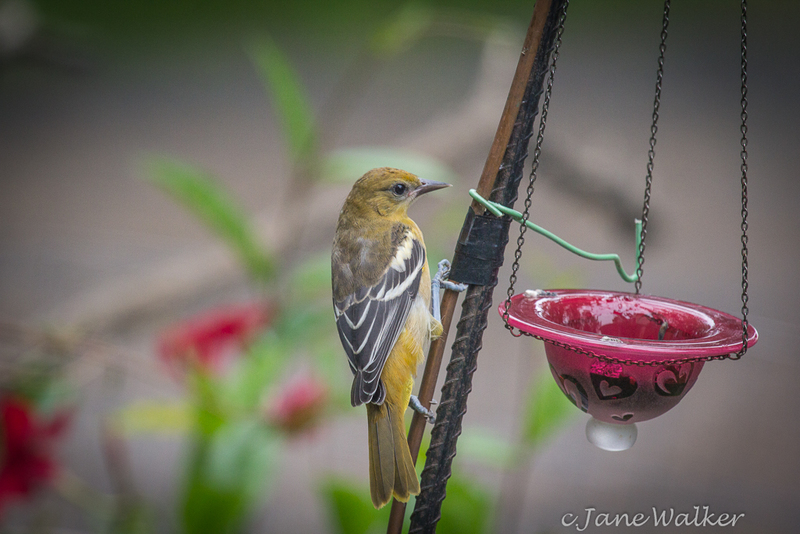 You certainly have a way with birds who would have thought grape jelly would entice them. I forwarded the pictures to some of my friends out here who also love birds. take care and hopefully talk to you soon. Perhaps you can offer this menu item next spring. 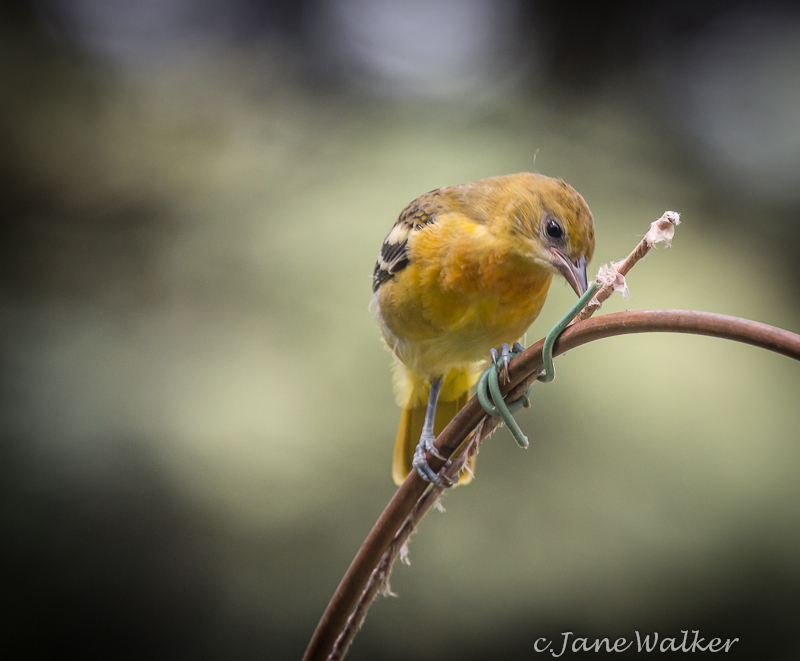 Seems to be a big hit here as the juveniles are still visiting a couple of times per day. 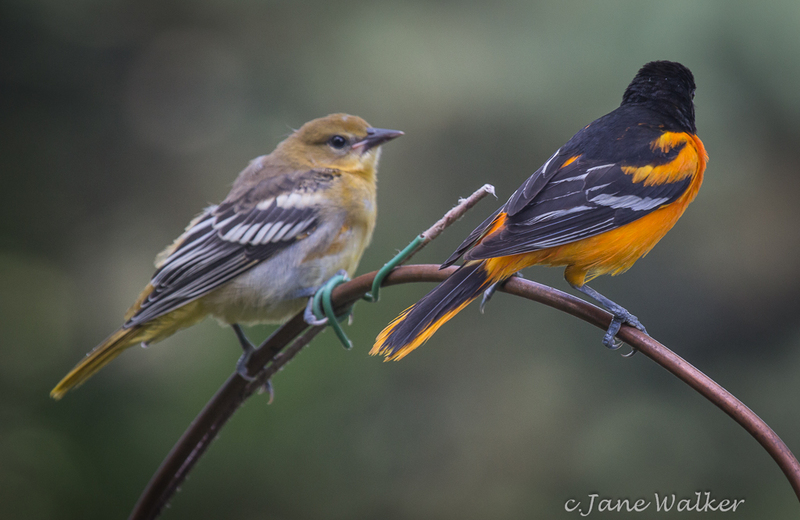 Your Orioles arrived, congratulations Jane! 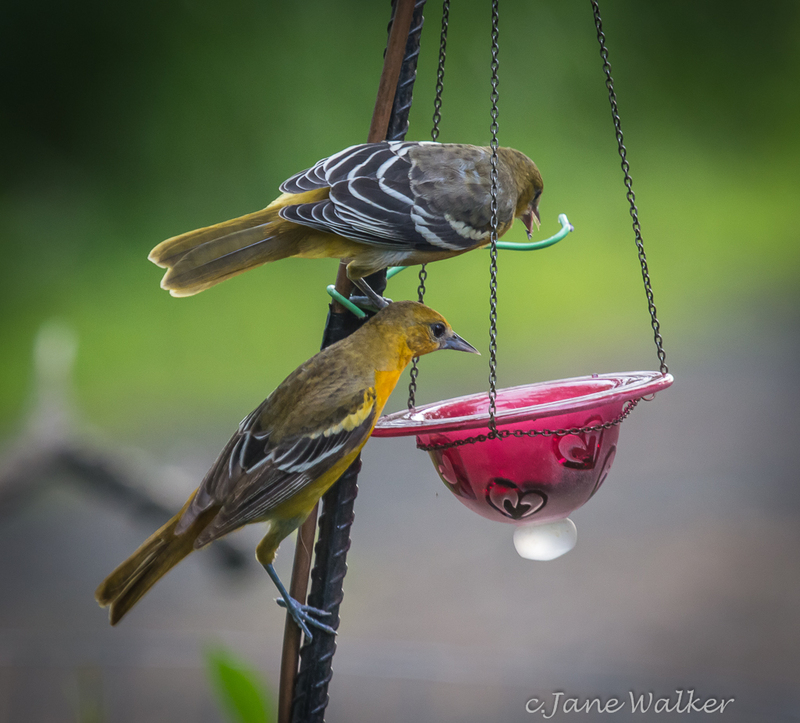 Timing, the right environment and of course an Oriole menu… they cannot resist. Glad you enjoyed the series. Amazingly, they are still coming, the juveniles that is. The parents seem to have moved on. Perhas some of the neighbours have a more enticing menu! I really need to get some grape jelly! The best buy is at No Frills…$1.99 a jar! WOW Jane!!! Those are amazing!!! Thanks for sharing!! They are amazing to watch and they are still coming every day. They are getting brighter and larger. Msut be all that jelly!